*Interpretation* - After giving the archive a directory and a name, another window will pop up. This window is where you start selecting files you want in the archive. Note: if you select folders, WinZip will not add them into the archive. 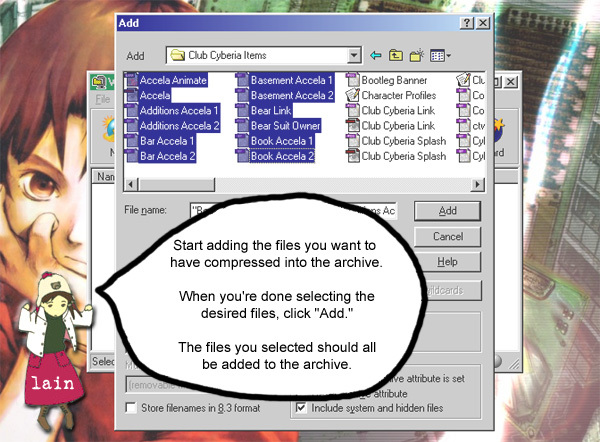 To add the contents of a folder into the archive, open the folder, then select the files you want from there.